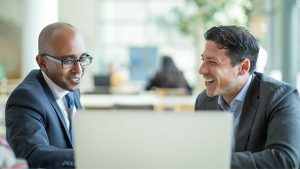 The Cisco Nexus product family offers a broad portfolio of LAN and SAN switching products, ranging from software switches that integrate with multiple types of hypervisors to hardware data center core switches and campus core switches. Cisco Nexus products provide the performance, scalability, and availability to accommodate diverse data center needs, including different types of data center protocols, such as FCoE, FC, iSCSI, and so on. In this article we will share a quiz for learning the different specifications of each product, which includes Nexus 9000, Nexus 7000, Nexus 6000, Nexus 5000, Nexus 3000, and Nexus 2000. If you are in doubt about your answers to these questions or your own assessment of your knowledge of the topics, read these topics below before you start the quiz. True or false? The Nexus N9K-X9736PQ can be used in standalone mode when the Nexus 9000 modular switches use NX-OS. How many strands do the 40F Bi-Di optics use? What is the current bandwidth per slot for the Nexus 7700? True or false? The F3 modules can be interchanged between the Nexus 7000 and Nexus 7700. How many VDCs can a SUP2 have? True or false? By upgrading SUP1 to the latest software and using the correct license, you can use FCoE with F2 cards. How many unified ports does the Nexus 6004 currently support? True or false? The 40Gbps ports on the Nexus 6000 can be used as 10Gbps ports. The Nexus 5548P has 48 fixed ports, and the Nexus 5548UP has 32 fixed ports and 16 unified ports. The Nexus 5548P has 32 fixed ports, which are Ethernet ports only, and the Nexus 5548UP has 32 fixed unified ports. The Nexus 5548P has 32 fixed ports and can have 16 unified ports, whereas the Nexus 5548UP has all ports unified. The Nexus 5548P has 32 fixed ports, which are Ethernet only, and the Nexus 5548UP has 32 fixed FCoE only ports. How many unified ports does the Nexus 5672 have? Which vendors support the B22 FEX? Which Cisco Nexus technology enables two switches to look like one, from a Layer 2 perspective, allowing for all links to be active between the switch and host tiers? Which technology term refers to a network that uses layer 3 between scale out architecture in the Data Center? CAUTION: The goal of self-assessment is to gauge your mastery of the topics in this chapter. If you do not know the answer to a question or are only partially sure of the answer, you should mark that question as wrong for purposes of the self-assessment. Giving yourself credit for an answer you correctly guess skews your self-assessment results and might provide you with a false sense of security.